Visit the Art Show this Summer! The Potomac River Regional Art Show, sponsored by the Colonial Beach Artist Guild and the Colonial Beach Chamber of Commerce opens Labor Day Weekend at the Colonial Beach Town Center at 22 Washington Avenue and shows from 12:00 - 5:00 p.m. for the rest of the weekends in September. It will also be open for the Second Friday Art Walk from 6:00 - 9:00 p.m. with the jurors’ talk being held at 6:00 pm. The Show is typically open Saturdays and Sundays during the month of July thru August. There is an awards ceremony at the conclusion. Come out and view the fantastic art and vote for your favorite piece! Artists are allowed to display one or two pieces of their 2D or 3D art work with dimensions no larger than 36” on a side, (including the frame). All art must be for sale and there is a commission on sales. The show is not juried - the first 100 pieces entered are placed in the exhibit. The show is professionally judged and the Colonial Beach Artists Guild awards $1000 worth of prizes. The event, formerly known as the Heritage River Art Show, features the works of over 50 different artists represented from all over the states of Maryland and Virginia. There's even a separate photography category and the event kicks off with a big opening reception. July 10 - August 12, 2015. Opened at 2nd Friday ArtWalk on July 10. Here are some photos of the team setting up for the big show! 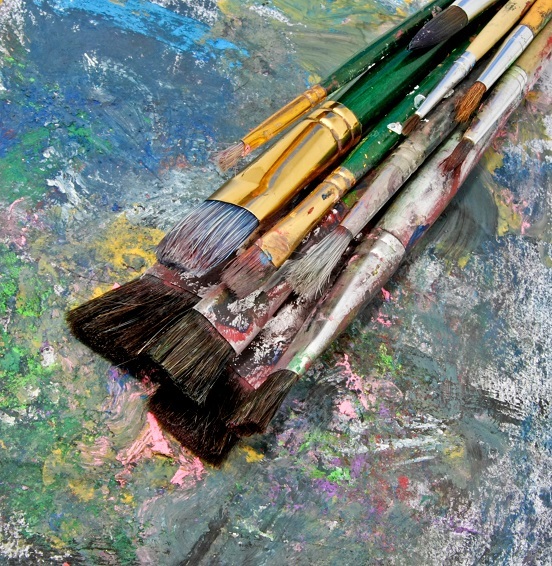 The Colonial Beach Artists' Guild and the Colonial Beach Chamber of Commerce are pleased to present numerous Works of Fine Art with Mid-Atlantic Artists exhibiting Paintings, Photography, Mixed Media, and 3-D pieces. This show is FREE and open to the public! Opening Ceremony coincided with the 2nd Friday Art Walk on Friday, July 10, 2015 between the hours of 6:00 p.m. and 9:00 p.m.
Steve Hilker won first prize for "Shut Down." In their comments, the judges said they were "moved" by Hilker's technical ability "with the nod to the time-old tradition of paintings within paintings that only skilled painters can pull off effectively." Steven Walker won 2nd in the category for "The Sun is Shining." Third place prize went to Janice Gagnon for "Preening Egret." First prize was awarded to Christopher Rok for "Allmans." In their comments, the judges remarked, "This is just a great mood and nice use of what appears to be high dynamic range. In the wrong hands this can turn a photo into a disaster, but not here." They added that the photo "...basically jumped off the wall and grabbed 1st Place right out of our hands." Sue Henderson won second prize in Photography for "Please, Mr. Postman." The People's Choice Award, based on votes by the show's visitors, went to Shirley Rush for "Through the Looking Glass." Honorable mention awards went to Aaron Bowles for "Water's Edge," Jutta DeMay for "Self Portrait," Elizabeth Escobar for "Cluster," Bob Jones for "Okahumka Sunset," Vicki Marckel for "Alexandria Night," Michael Martin for "Just Behind the Eyes" and J.B. Waltermire for "Big Dipper." Colonial Beach Town Manager Val Foulds and Chamber of Commerce President Carey Geddes presented the awards. Jennifer Glave and B.J. Kocen, owners of Glave Kocen Gallery in Richmond, were judges for the show and attended the ceremony to offer commentary on the winning art. 2011's event had an Opening Ceremony which coincided with the 2nd Friday Art Walk on Friday, July 8. 2010 marked the 7th annual judged art event now known as The Potomac River Regional Art Show. Usually held in the Colonial Beach Town Center building, artists over 18 years of age are welcomed to display art work from July 9 through August 8. 2009's Juror was Kathryn Willis, art critic, journalist, advocate, teacher. The judge for 2010 is a well-known Virginia artist who earned her BFA and MFA degrees from Virginia Commonwealth University, and was named "Virginia Artist of the Year" at the Women's Caucus for Art. There are $1,000 in cash prizes to be given out at the Awards Reception on the last day of the event, August 8th at 3:00pm.